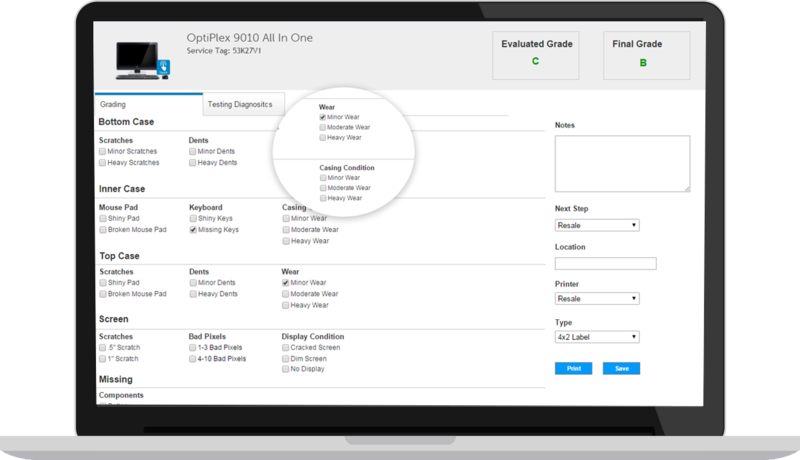 Simplify the complexities of your reverse logistics operation with a proven ITAD software application that helps you automate, optimize, and scale. Next time you make a pitch for a buy-back program, add RazorERP ITAD software to your presentation to show the client transparency. 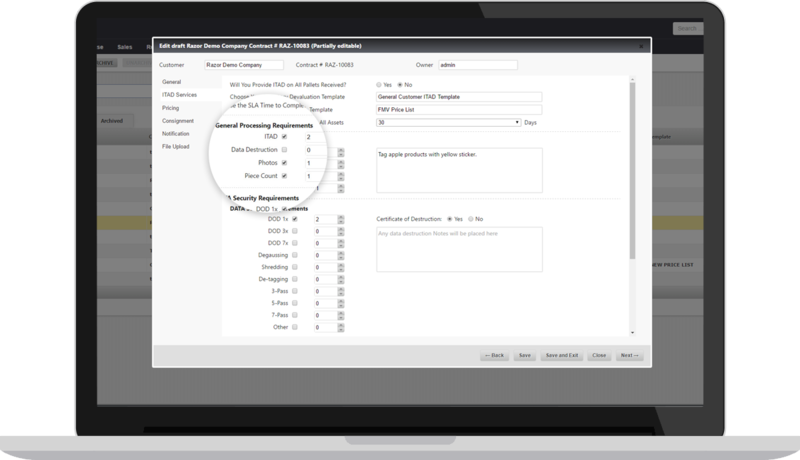 Set up service contracts in RazorERP's ITAD Software to wow your clients. 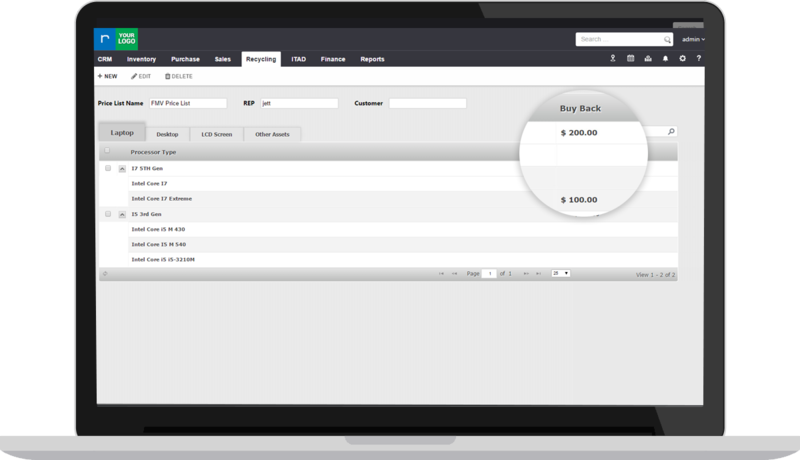 Configure fair-market value templates to set a base price for your buy-back products before devaluing the grade. Streamline your grading process in RazorERP's ITAD software using devaluation templates with simple grading checklists your employees will love. Contact us today to discuss your unique needs with one of our ITAD software specialists.